Bafana Bafana’s fate hangs in the balance as they head into their final AFCON qualifier encounter against Libya this weekend. On Sunday, Stuart Baxter and his charges need a point from the match to qualify for the tournament that is set to take place from June this year. The mission on the day is to avoid a loss at all costs. These two sides drew when they last faced each other in their earlier encounter, which makes it even more of a challenge for Bafana as they head the other way. 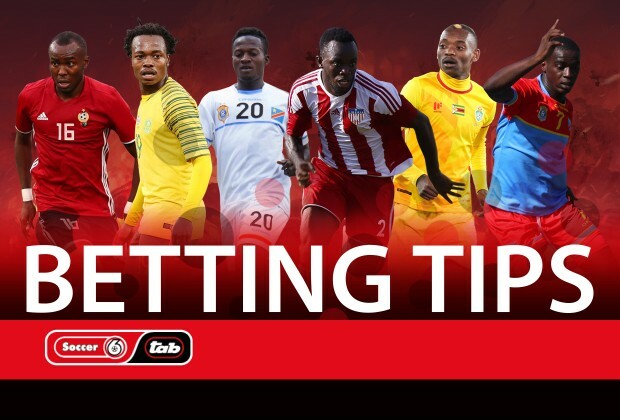 Former Ria Stars’ Sidney Moshikaro got in on this week’s AFCON fixtures and gave us his predictions. Do you agree with his choices? Useful facts:It’s a game in which there is only one mission for Stuart Baxter’s charges: avoid a loss and you are through to the 2019 AFCON to be played in Egypt later this year. It looks achievable, especially as it will be played outside of Libya – but it’s still in North Africa and teams from that region make you feel that you really are playing away from home. Having drawn with Bafana Bafana in Durban in their earlier tie, the Libyans will definitely fancy their chances and will be looking to score an early goal to unsettle the 2010 World Cup hosts. With both teams having slightly different objectives, expect tactical genius from the bench to win the game. Libya could score one goal and then close shop, although it could backfire because a late equaliser from South Africa will ensure that Libya will be watching the football showpiece from home. It’s going to be interesting to see who Baxter entrusts with the job between the sticks, with Itumeleng Khune’s injury certainly a blow for Bafana, whose defence had a tough time against Libya last time out. Useful facts: Only a point separates the two nations, with all four teams in the group still in with a chance of qualifying for the AFCON. It’s an incredibly important encounter for Liberia, as a loss will see them fail to make it, and tough conditions await them in Kinshasa. In fact, the Liberians had put in a request to CAF, asking for the game to be moved away from the Democratic Republic of Congo due to concerns over the Ebola epidemic, which request was subsequently declined, with Kinshasa declared safe to host the match. It’s not clear what frame of mind the visitors will be in on Sunday, but there are no prizes for guessing that victory will be uppermost in their minds. As for DR Congo, they can see the Promised Land and all they now need to do is to give it that last push and the home will be there to spur them on. Useful facts: Zimbabwe simply have to win at home and leave nothing to chance, although a draw could be enough to see them through. It would be great for the Southern African nation to qualify for their second AFCON finals in a row. However, they are up against a Congo side that will be more desperate for victory, as they occupy bottom of the table. The two nations drew their earlier encounter, so Congo know what they are up against in a Zimbabwe side that will seek an extra dose of motivation from the stands. The likes of Khama Billiat and Kudakwashe Mahachi will look to give the visitors a torrid time, while Knowledge Musona has been recovering from injury and is hopeful of a return just in time for this crucial clash. What Happened To Chiefs’ Forgotten New Signing?